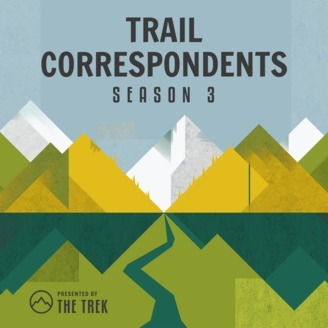 Trail Correspondents is a teleportation machine to the trail- in audio form. Every other week, a select handful of thru-hikers on the Appalachian Trail, Pacific Crest Trail, Continental Divide Trail, and the American Discovery Trail, give us a glimpse into the world of long distance backpacking. Through their eyes and vocal cords, we learn all about the highs, lows, and nitty gritty details that go into a half-year, cross-country trek. 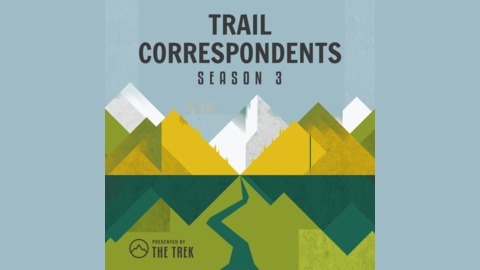 Trail Correspondents is the next best thing to being on trail yourself. The shows leading up to today's served a necessary role. They introduced us to our 2019 hikers. We got to meet the vast array of personalities trekking across the country, and learn a good deal about the motives behind these epic journeys. But, I like to think that these entries were just this season's hors d'oeuvres. Today's show begins our main entree. Today's show features our first updates from the trail. In this episode, you'll receive a pair of entries from our Correspondents. The first actually comes the night before they hit the trail. This likely comes as no surprise, but this is a time when emotions are flowing like a firehose. Whether it's excitement, anxiety, or a combination of the two, our hikers' long awaited treks are just one bad night of sleep away. And the second recording comes from the end of their first day on trail, where they're given a blank slate to talk about whatever most inspires them. Get a 10% discount off Hyperlite Mountain Gear's Windrider and Southwest by using code "TREK10" at hyperlitemountaingear.com. Today's show is brought to you by Hyperlite Mountain Gear, manufacturers of quality Backpacks, Tents, Tarps, and accessories, made in Biddeford, ME. Subscribe to this podcast on iTunes (and please leave us a review)! Download this episode here. Find us on Stitcher and Google Play. INSTAGRAM: Follow Trail Correspondents, The Trek, and Badger. YOUTUBE: Subscribe to The Trek. FACEBOOK: Follow Trail Correspondents and The Trek. Editing and music courtesy of Pauly Boy Shallcross.